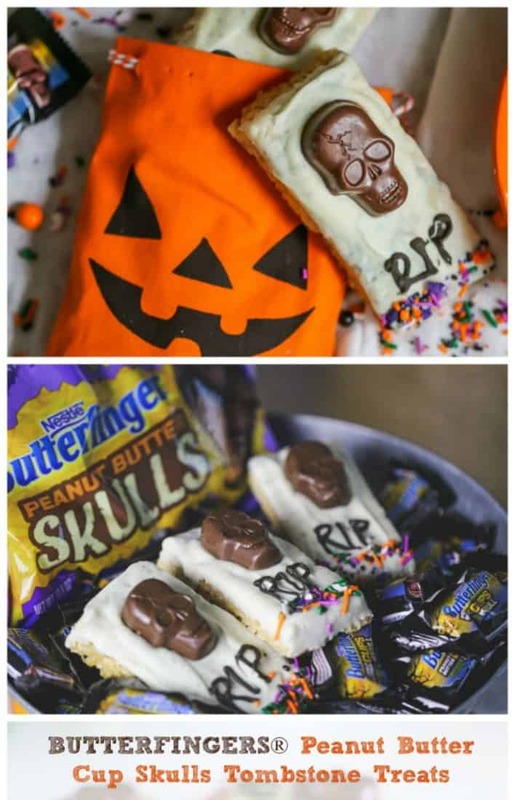 If you love tasty fun sweets, these festive, spook-tacular BUTTERFINGER® Peanut Butter Cup Skulls Tombstone Treats are the perfect Halloween treats to hand out to all your ghoul-friends or rock out at your next upcoming Halloween Bash! It’ll be a smashing monster good time for sure! We absolutely love Halloween! It’s our favorite time of the year because we always look forward to dressing up and celebrating with our friends! I love coming up with different desserts! 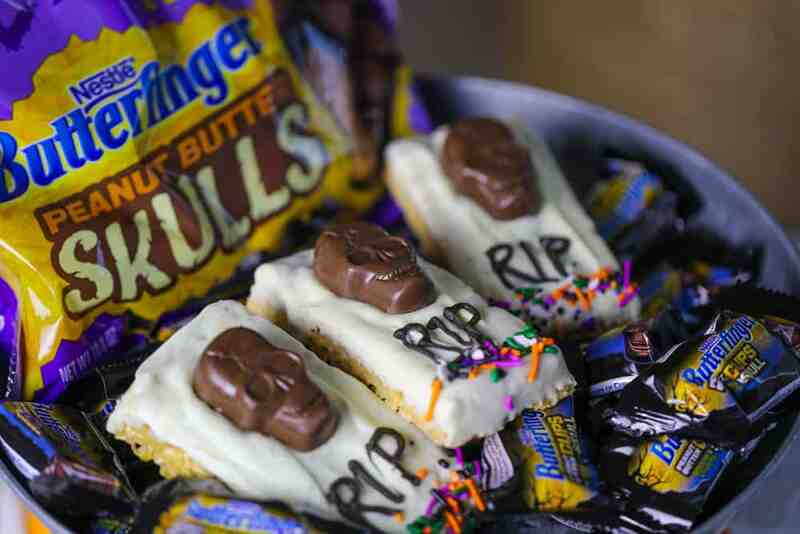 One way to get the party started is with these haunting BUTTERFINGER® Peanut Butter Cup Skulls Tombstone Treats! 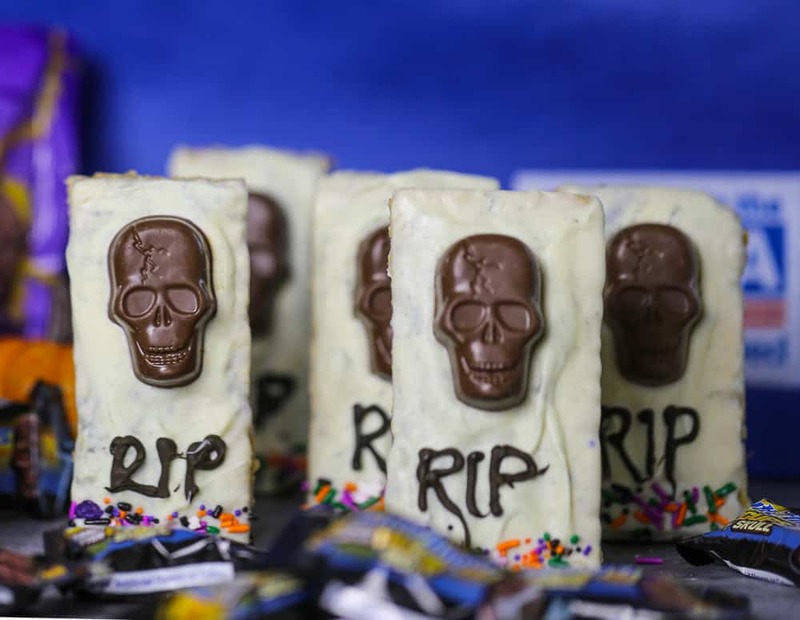 They feature graveyard-inspired tombstones made of delicious chewy peanut butter krispy treats dipped in white chocolate with grayish swirls, embedded BUTTERFINGER® peanut butter cup skulls, decorative sprinkles and chocolate RIP letters to bring the Halloween spirit to life! 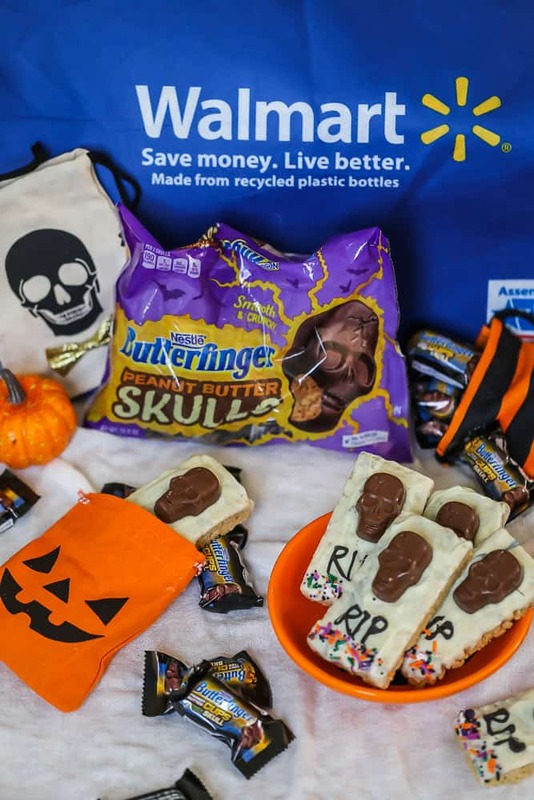 So, when BUTTERFINGER® approached me about creating a recipe using these awesome BUTTERFINGER® Peanut Butter Cup Skulls, I was immediately ready to get this party started by heading to Walmart! 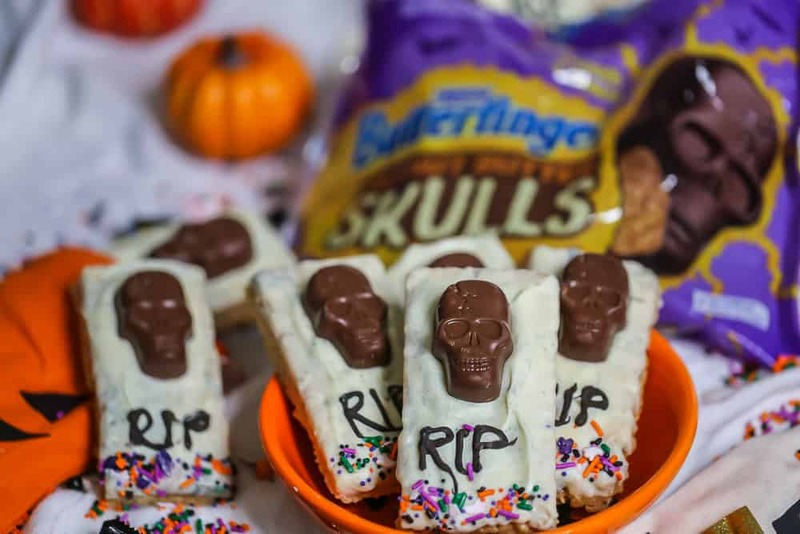 Along with all my other purchases, I purchased 4 fang-tastic bags of BUTTERFINGER® Peanut Butter Cup Skulls, to make my treats and of course *ahem* to hide some back. I’m a huge fan of these! You know how much I love chocolate. 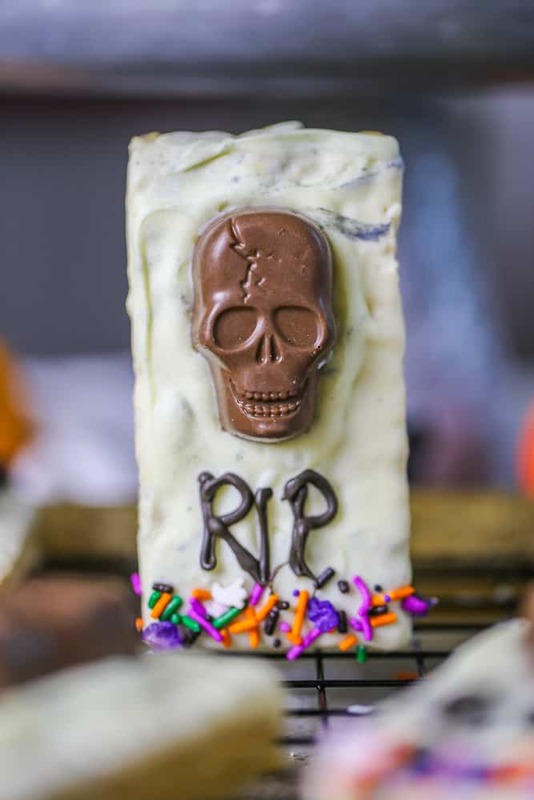 Well, it’s no wonder, I love these BUTTERFINGER® skulls filled with crispety, crunchety, peanut-buttery flavor drenched in a smooth milk chocolate coating! BTW…who doesn’t love BUTTERFINGER®products? 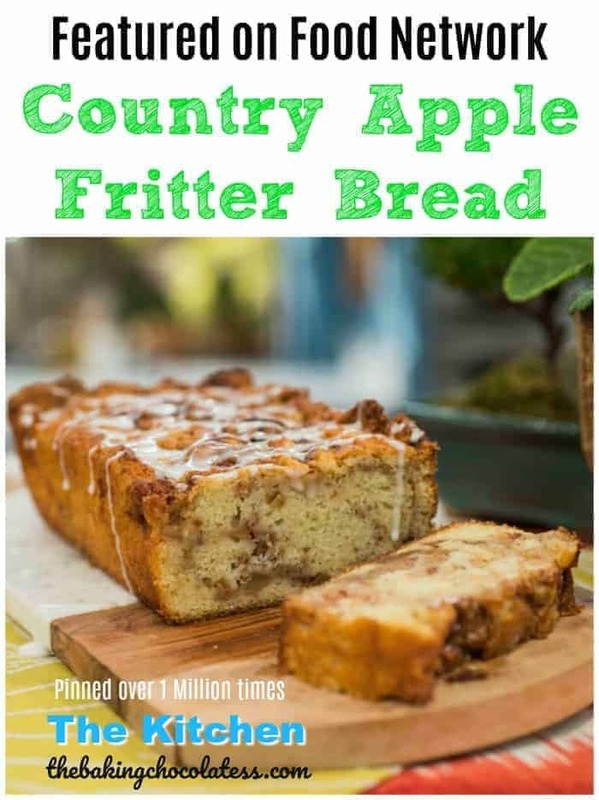 It’s just so yummy and has bold flavors like no other! 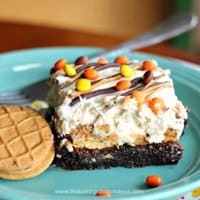 Literally it is the best party candy dessert for Halloween *swoon* and interesting to know, even better that BUTTERFINGER® are free of artificial flavors and colors. 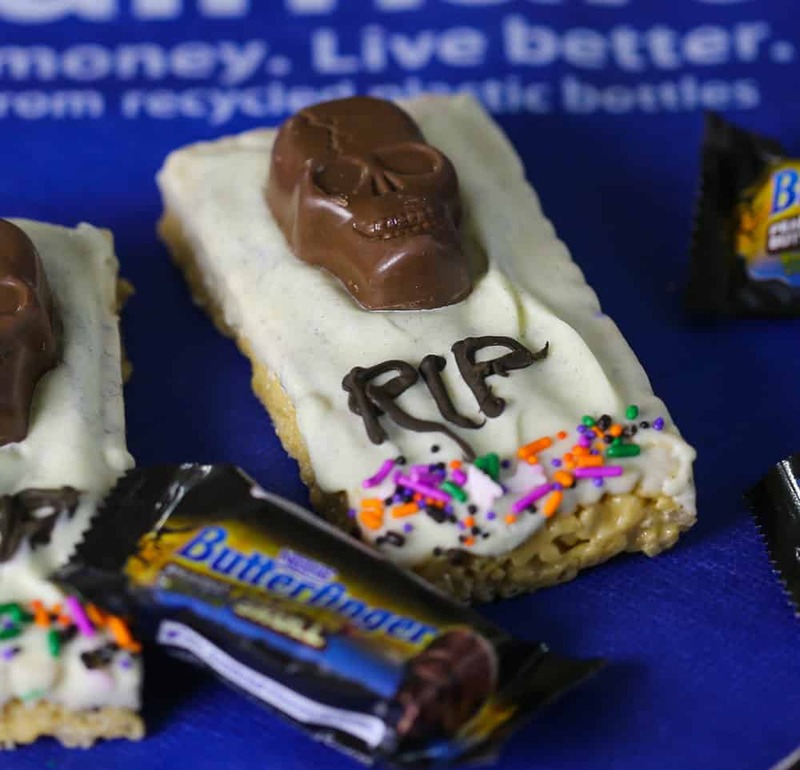 Use these BUTTERFINGER®skulls for decorating with cupcakes, cakes, brownies, giving out for Halloween to the trick or treaters (of course!) 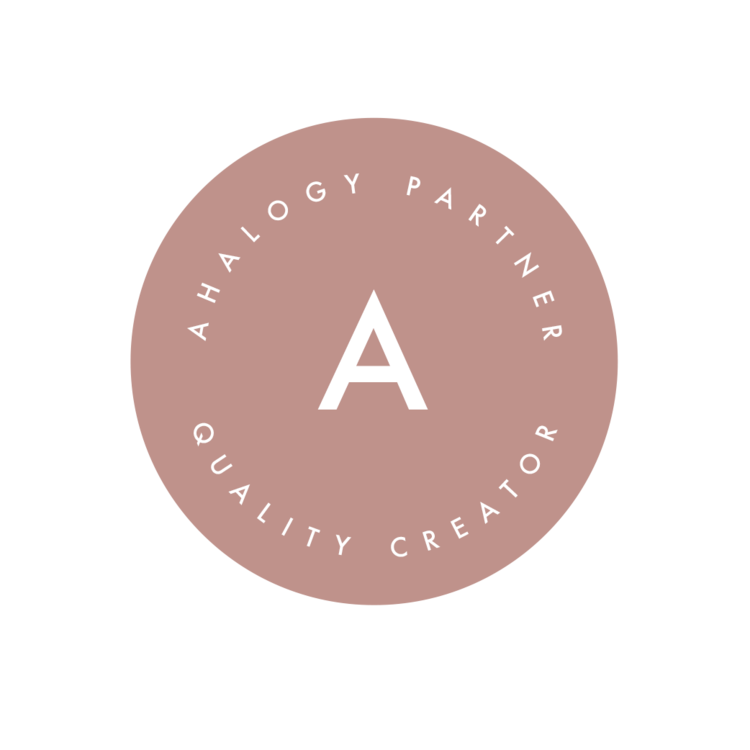 …it’s pretty much endless options. Just don’t forget to hide some back for yourself. You’ll thank me later. They’re the perfect size sweet treat! Put them in a bowl and get ready to devour with those fangs! They won’t last long! 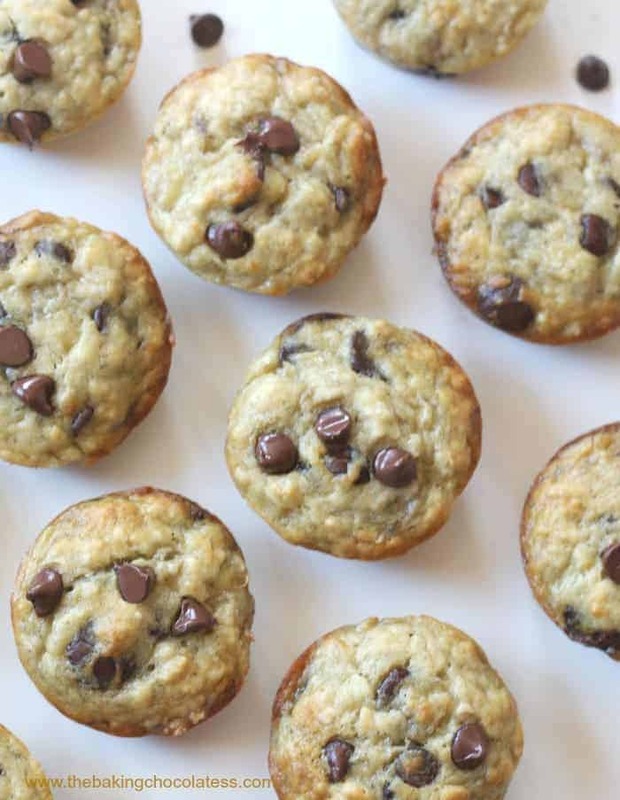 Your family and friends will LOVE these delicious and festive treats! 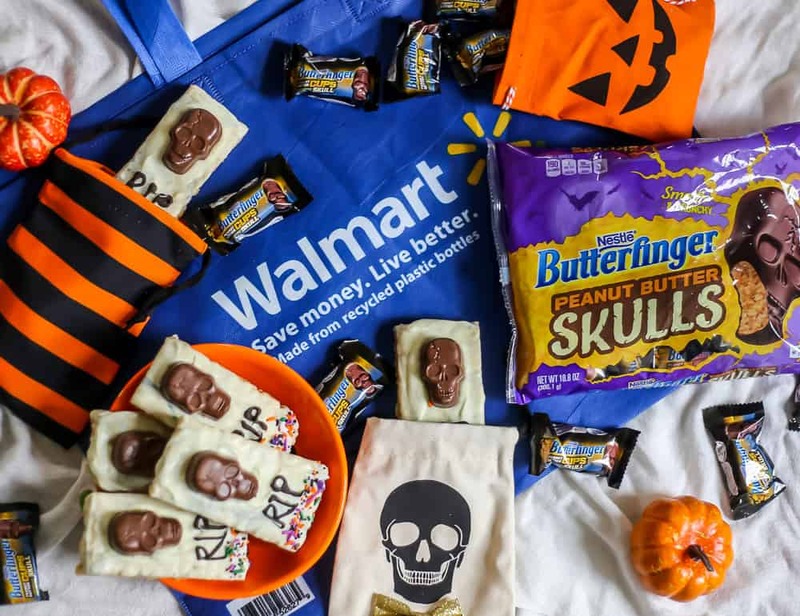 Find BUTTERFINGER®Cups Skull bite-sized fun size bags at retailers nationwide. 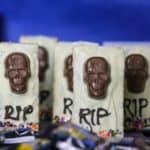 BUTTERFINGER®Peanut Butter Cups Skulls Fun-Size come individually wrapped in an 10.8oz bag, with 18 Skulls here. 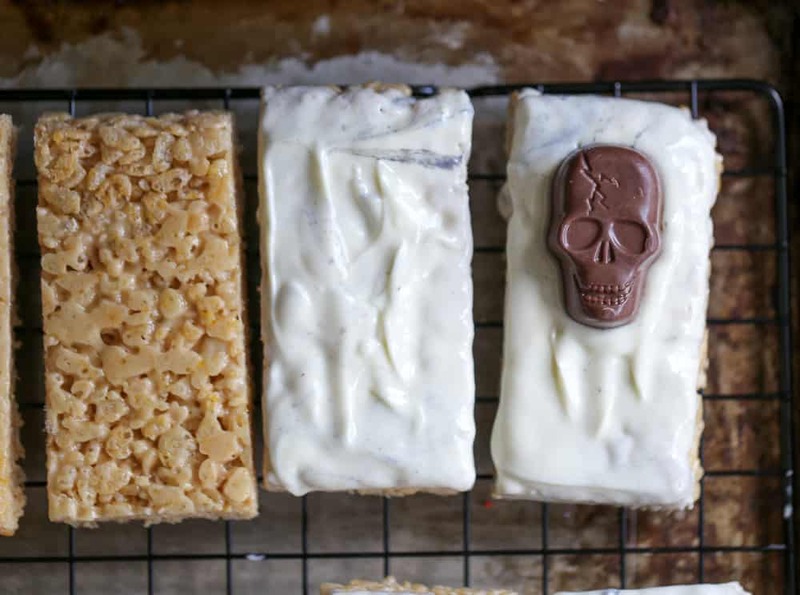 Not only great for making spooktackular Halloween treats, they are the perfect size to give out to trick-or-treaters! 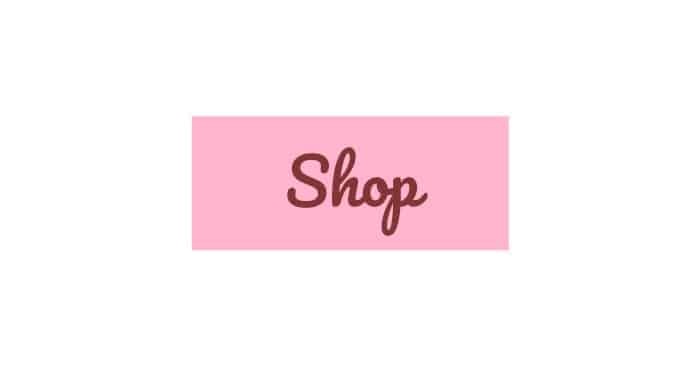 You can find more Halloween products here on Facebook, Instagram or Pinterest. 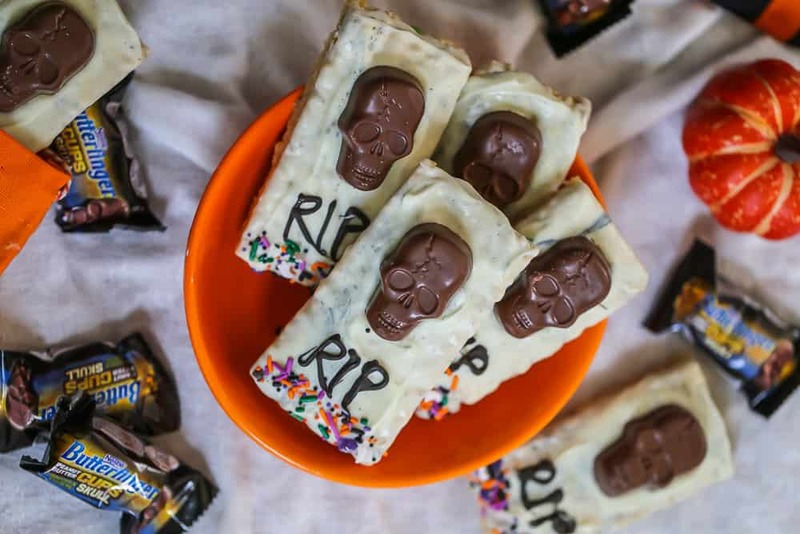 They feature graveyard-inspired tombstones made of delicious chewy peanut butter krispy treats dipped in white chocolate with grayish swirls, embedded Butterfinger peanut butter cup skulls, decorative sprinkles and chocolate RIP letters to bring the Halloween spirit to life! Pour mixture into 9 x 13 pan, and pat down mixture with parchment paper, pressing it on top of the mixture and patting down or spray your hand with some nonstick cooking spray and pat down the mixture until firmly compacted. 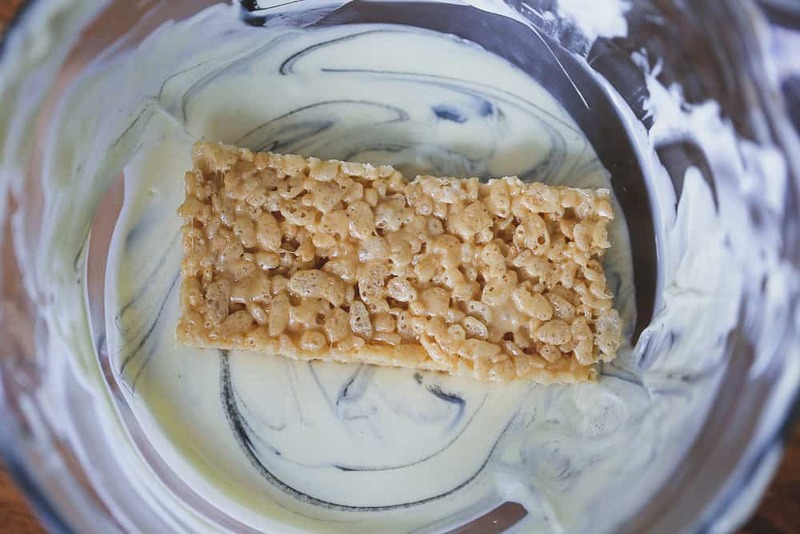 Allow 30-45 minutes for treats to firm up before cutting. Cut into 8 even rectangular bars. 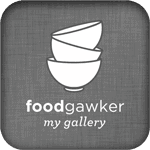 Place white chocolate in microwave-safe container. Microwave up to 2 minutes, and within the 2 minutes, microwave at 15 second intervals and stir until smooth. Overheating will cause wafers to burn. Add some black color gel and swirl to get a granite affect. Dip and lay on a wire rack for decorating one a time. 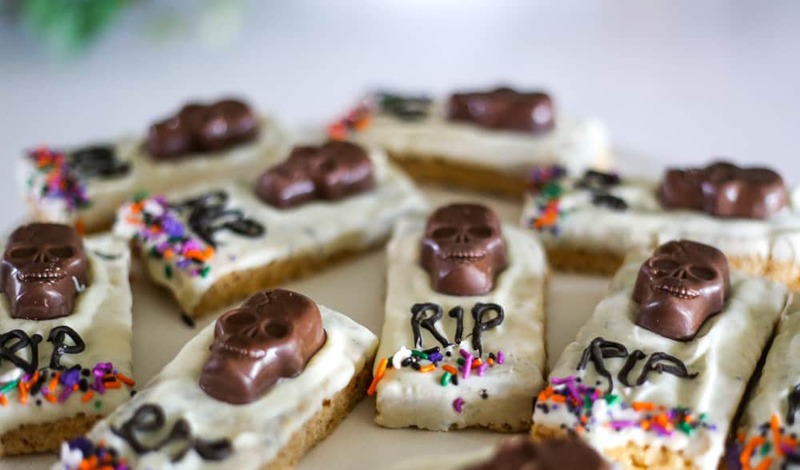 Add some decorative sprinkles or cookie crumbles to the bottom of the tombstones. After all the tombstones are sprinkled and skulled, it's time to do the do the 'RIP' lettering. Melt some dark chocolate and it's optional, but you can add some back color gel to this to give it a darker vibe and fill a ziploc bag, then snip the tip with scissors to create a tiny opening. and using a toothpick, mark the beginning and ending of RIP in a straight line. This will help keep you centered when you start to pipe. Trace the letters with the chocolate. Let treats set and devour when ready to serve! Let treats set overnight if you are packaging to send off to little ghouls in the mail. I made a Butterfinger cake over the weekend and ate WAY TOO MUCH and thought I’d never want to eat another Butterfinger again. But you’ve proven me wrong, Kim! 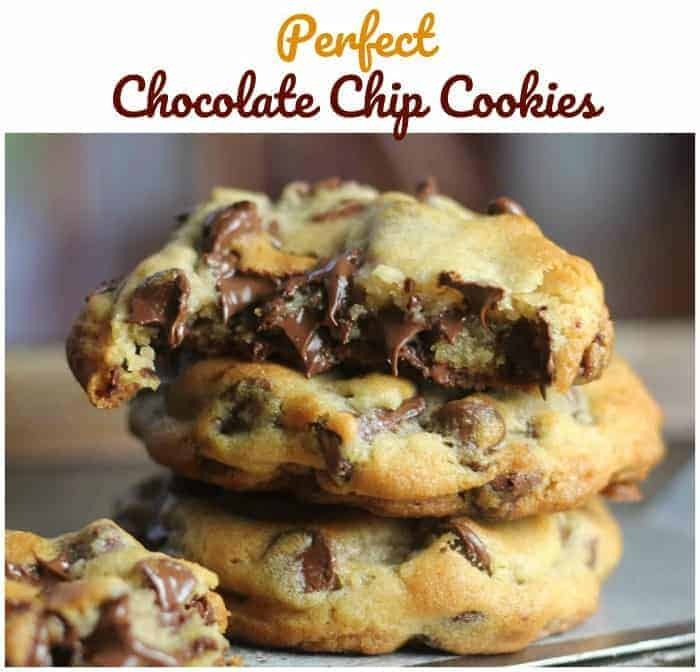 I can’t tell you how much I’m craving a batch of these now! I LOVE these spooky treats! 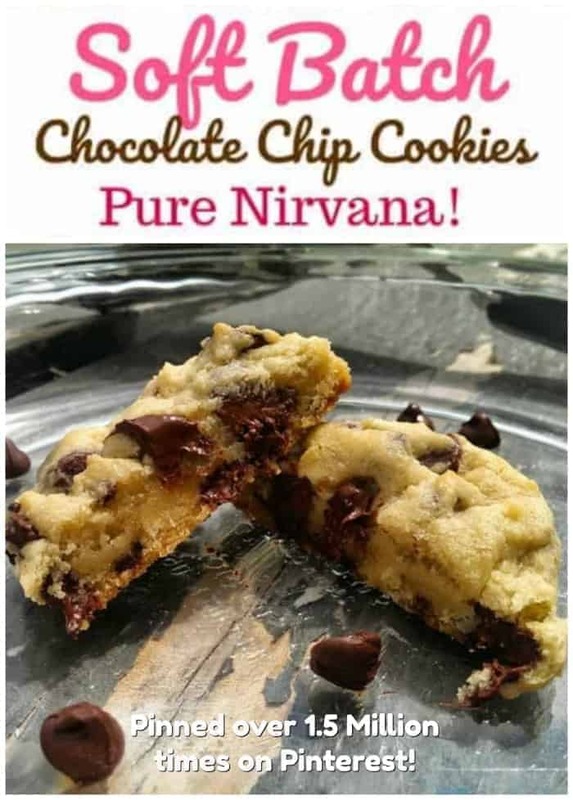 😀 They’re adorable not to mention so delicious looking– these would not last one day in our house! 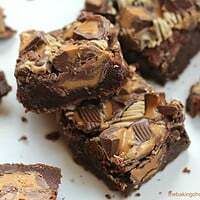 Butterfinger is one of my favorite candies! I can’t wait to get some of these skulls! I love what you did with them, too! So festive!